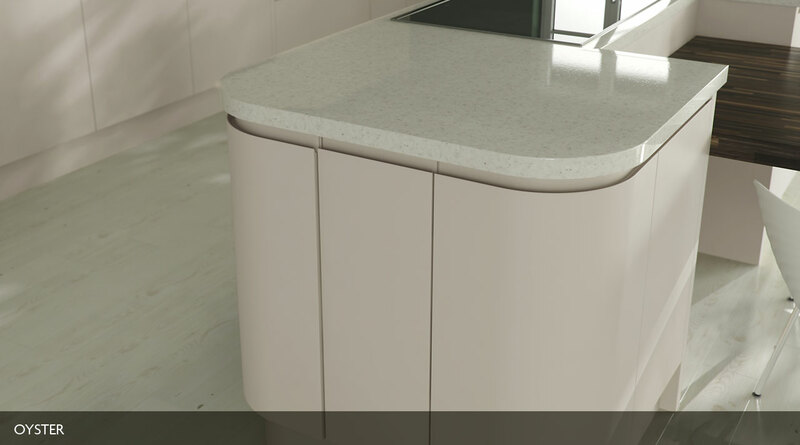 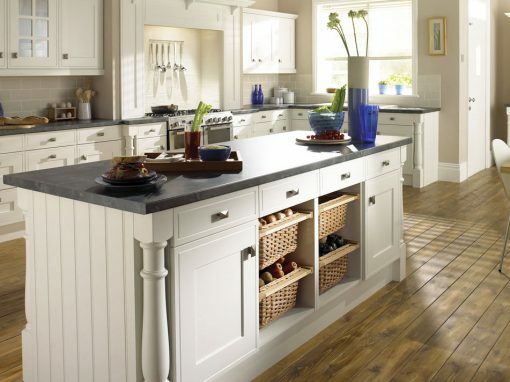 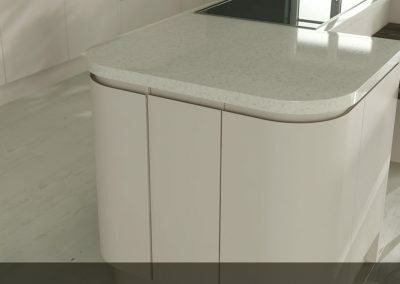 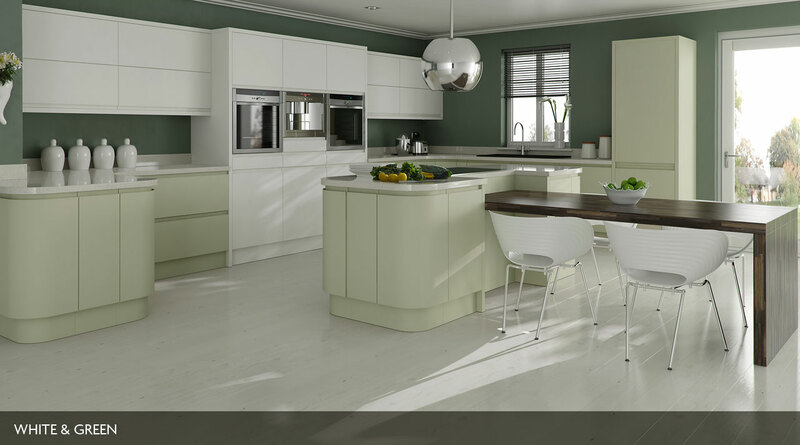 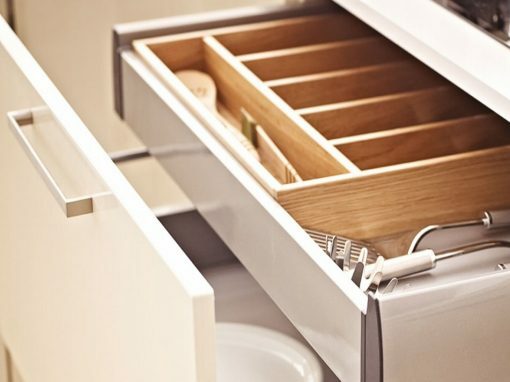 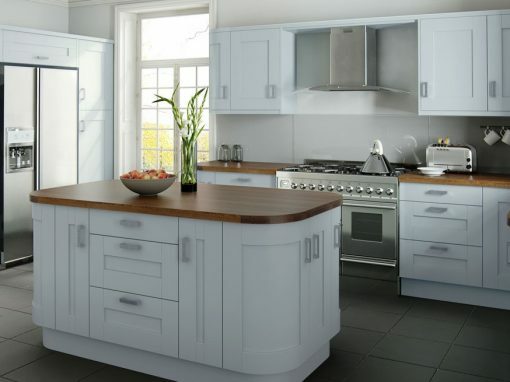 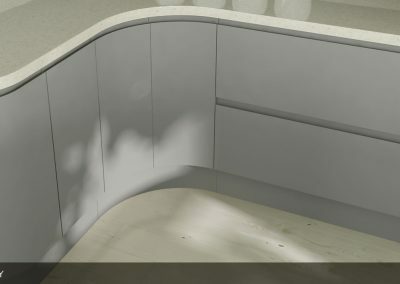 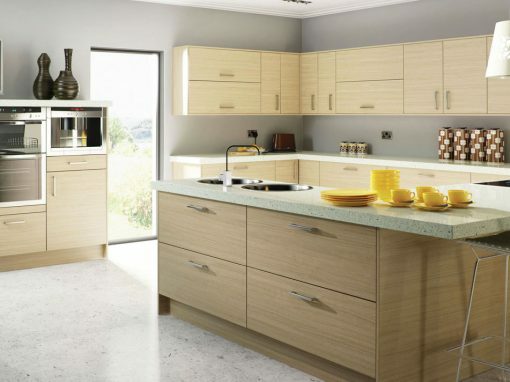 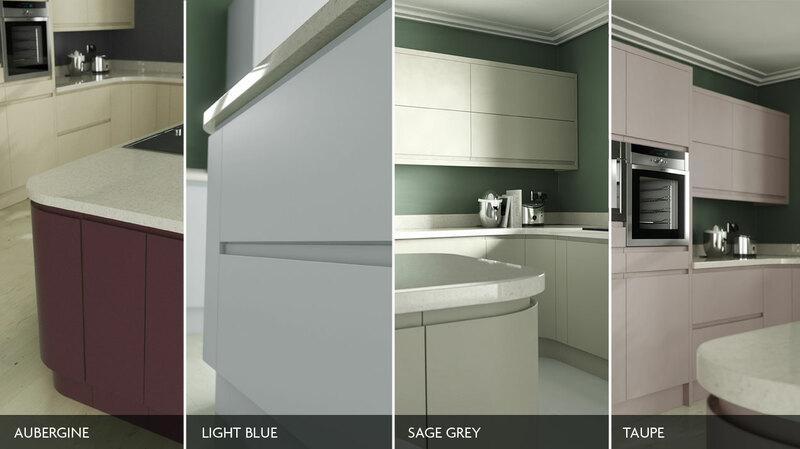 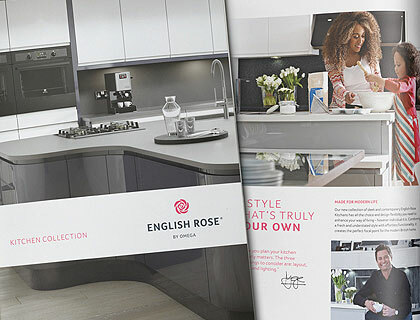 This kitchen combines smooth painted matt colours and an elegant handle-less design. 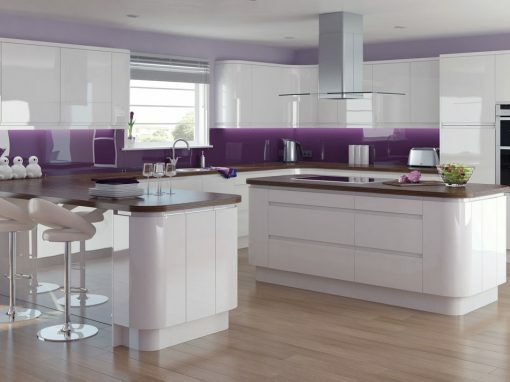 Available in 15 colours and shown above in White & Green. 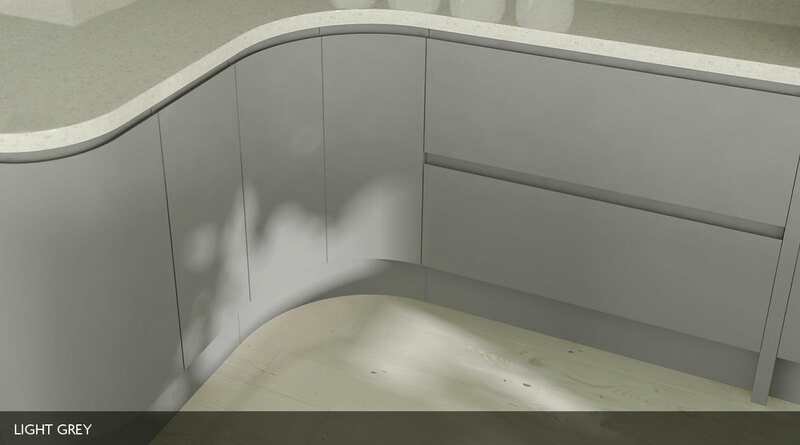 MATERIAL- Painted finish on MDF with integral handle. 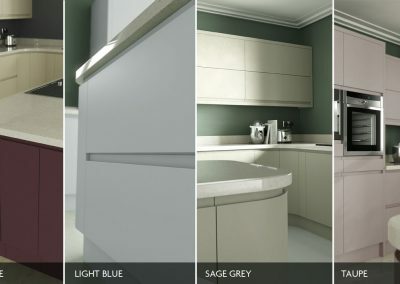 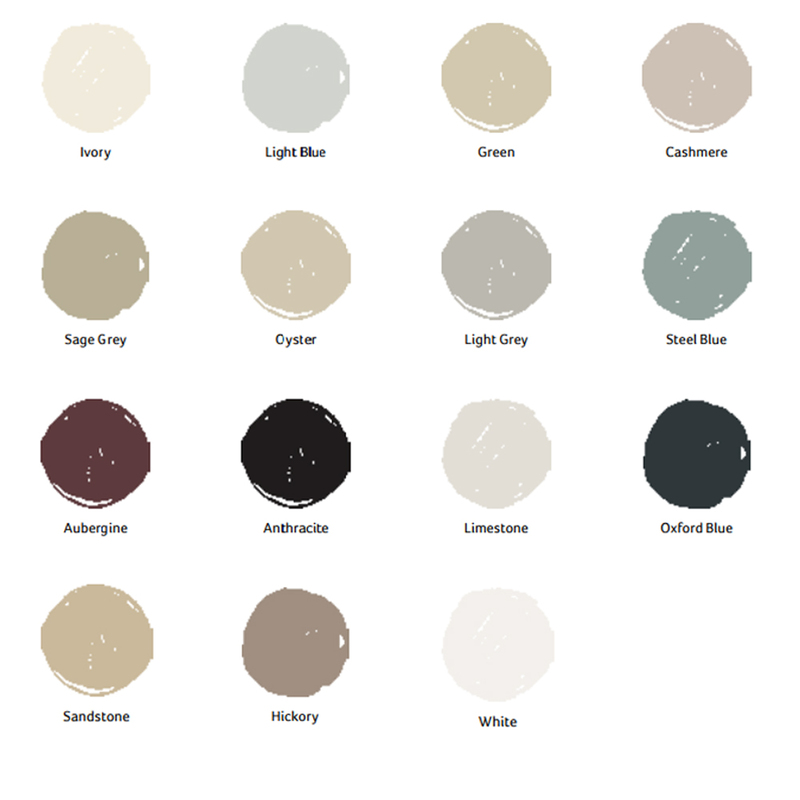 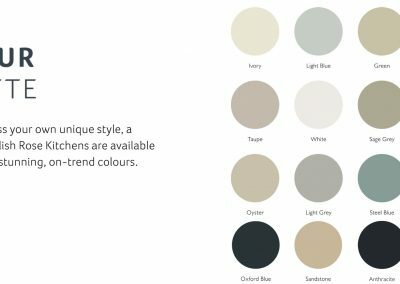 COLOURS – Available in 15 painted colours – White, Ivory, Oyster, Light Blue, Green, Sage Grey, Light Grey, Taupe, Steel Blue, Hickory, Aubergine, Limestone, Sandstone, Oxford Blue & Anthracite.